First is to bless the food and the people and give thanks. The second is to wash your hands before eating and arrive at the table clean and tidy. It is a sign of respect and love for ourselves and for others. So, now go wash your hands! Llamas divides Let's Cook Spanish into four parts, Tapas and Pinchos, Meat and Fish, Vegetables and Salad and May Your Life Be Sweet plus suggested menus and lined pages for notes. There are thirty recipes and they all sounds marvelous, from tapas like Basic Potato Omelet and Stuffed Eggs to first courses like Valencian Paella, Iberian Pork Fillet. I especially liked the range of vegetable dishes, from Potatoes Rojas Style and Vegetable Stew to the Country Potato Salad and the Cheese-Stuffed Piquillo Peppers. 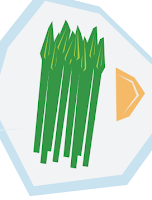 You can get a better taste for Llamas's recipes with Two Tapas to Cook with the Whole Family. However, I think that the desserts recipes are the most exciting in Let's Cook Spanish. The Chocolate and Churros, above, sound delicious. But the Santiago Almond Cake, the Baked Apples with Custard, the Meringue Milk Ice Cream and the Orange Confit recipes are all simple enough that kids will love them but elegant enough that you can serve them at a dinner party for adults. 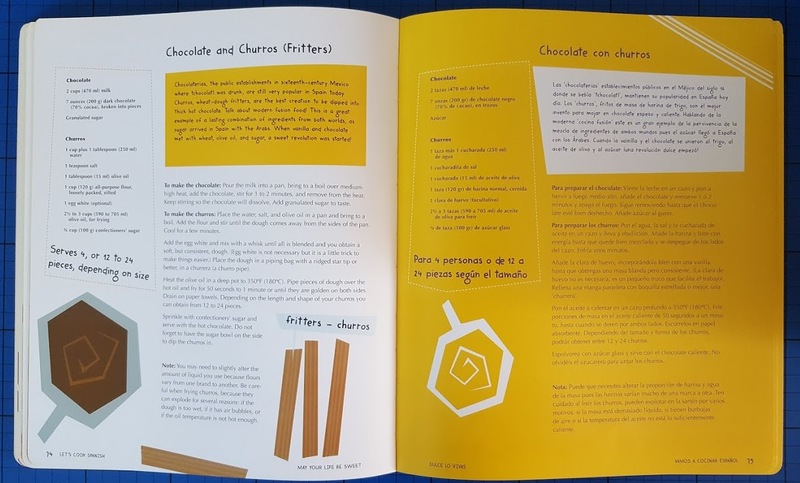 And, I was tickled to learn that Torrjas, the final recipe in the book, is a special Easter Lent dessert that is loved all over Europe and, in America is known as - French Toast! Llamas's recipe includes lemon zest and a honey sauce. 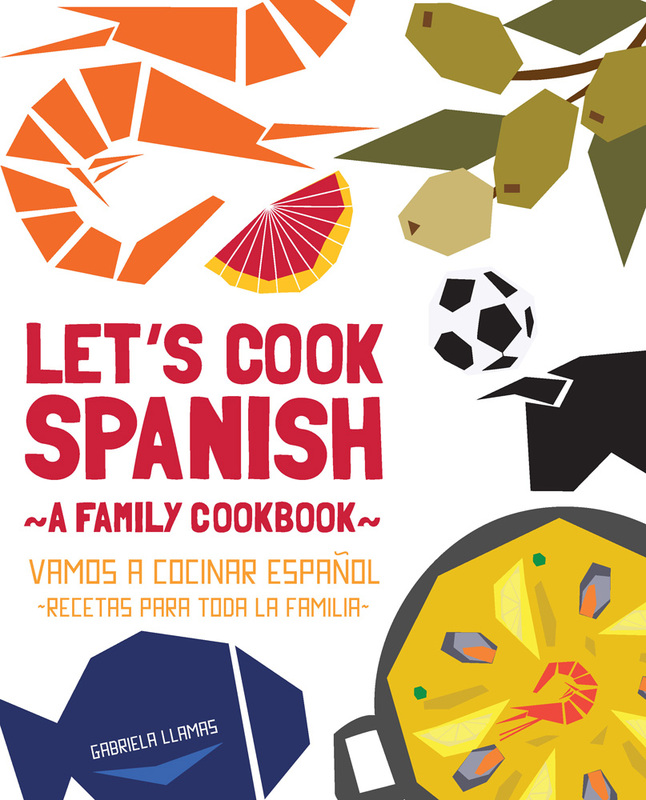 Let's Cook Spanish: A Family Cookbook is a book that you and your kids will love exploring.